These train passes offers great value, convenience and flexibility for exploring fascinating destinations in England, Scotland, Wales and Ireland.You have the freedom to travel as often as you want, when you want, hopping on and off trains, hassle-free. This unparalleled flexibility allows you to stay for a few more days in a particular city, or add an extra destination to your itinerary. Exclusively for travelers staying within England or Scotland. Passes are available in either Consecutive with a choice of 8 , 15, 22 days or 1 full month of travel. Or Flexible travel with a 4, 8, 15 day pass to use within 2 months. Starting at $424, the most Popular Pass. Travel through 21 European countries. Travel options available: 15 - 21 travel days within 2 months (flexible) or 15 days up to 3 months continuous travel (consecutive). Starting at $269, Choose from a selection of 3, 4, or 5 bordering countries. Travel options available: 10 travel days within 2 months. Starting at $156, unlimited rail travel in a select two/three country region. Travel options available: 3 - 10 travel days (varying by country) within 2 months. Starting at $41, choose from 21 featured countries with Italy being our favorite. Travel options available: 3 - 10 days within a 1 or 2 month period. JAPAN RAIL PASS... The Key To Convenient Sightseeing In Japan. 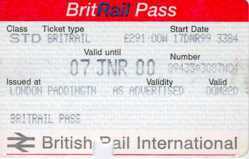 The JAPAN RAIL PASS is offered by the six companies that make up the Japan Railways Group (JR Group). Eurail is a cooperation between 25 European railway companies offering discounted rail travel in Europe to non-European residents. Eurail passes offer you exceptional value to travel in One or many European countries. Standard rail travel in both 1st and 2nd Classes with discounts for Youth travelers, and small saver groups (2 to 5 passengers). Eurail passes are offered with varying validities and flexibility – the choice is yours! Unfortunately Eurail Passes are not valid for residents of Europe, the Russian Federation, Turkey, Morocco, Algeria and Tunisia. The Canrailpass is the perfect choice for people who want to go a long way on a limited budget. Travel from the Atlantic to the Pacific and even north to Hudson Bay! Or purchase a Canrailpass for travel exclusively within the Québec City - Windsor corridor. The choice is up to you! Austrail Flexi Pass provides you unlimited and flexible train travel on Rail Australia lines for 15 or 22 days within 6 months. The Backtracker Rail Pass also gives you the freedom of unlimited Train Travel via XPT and Xplorer with over 360 destinations in New South Whales. Valid for 14 days in 1, 3 or 6 months. Or, enjoy 6 months of train travel on the The Ghan, Indian Pacific and The Overland in any direction with the Rail Explorer Pass. The Scenic Rail Pass is an easy to use, great value pass allowing you to travel around New Zealand on the Tranz Scenic rail network at your own pace. The pass is designed for independent travellers who want to experience a rail vacation or get the best out of their holidays to New Zealand and experience the true beauty and benefits of train travel. Choose 7 or 14 travel days within the North & South Island on the TranzScenic network. Puurchase with or without a Ferry ride.